Ceiling heights and structural features would have to be raised and modified respectively. Modifications and installation of new graphics would have to be scheduled to not interfere with store business. 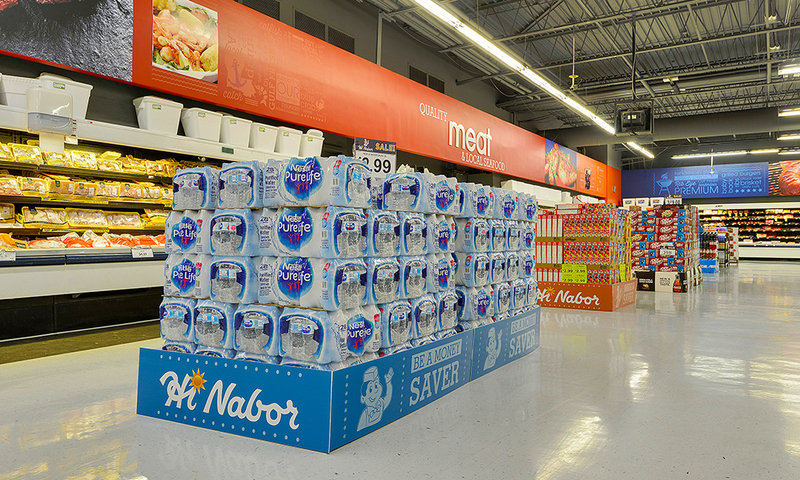 With four locations, Hi Nabor needed the graphics to fit each site, and work as brand unifying elements. 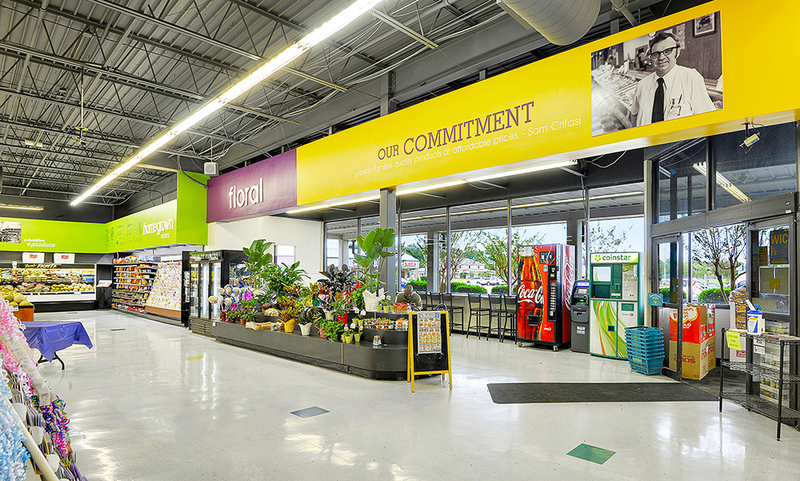 Vivid Ink Graphics printed large, colorful headers that wrap the interior of the four locations. 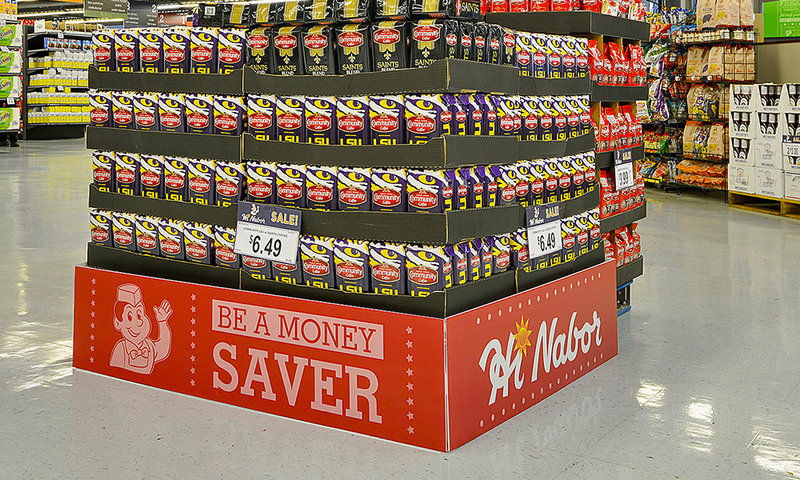 Art files were modified and installed based on the peculiarities of each location, the images tell the same message throughout the brand, bringing clarity to the Hi Nabor message of being family friendly and a wholesome partner in the communities they serve. These modern and appealing graphics tell the story of the Crifasi family who started the brand in the 1960’s. The story wraps around the building, enveloping the customer in a sense of purpose, and offering the proof that customer’s support of a local brand also supports strong family-owned businesses. It’s a win-win for the community. Older stores in strategic locations are now up to date. This tells the community that Hi Nabor is dedicated to them for years to come. 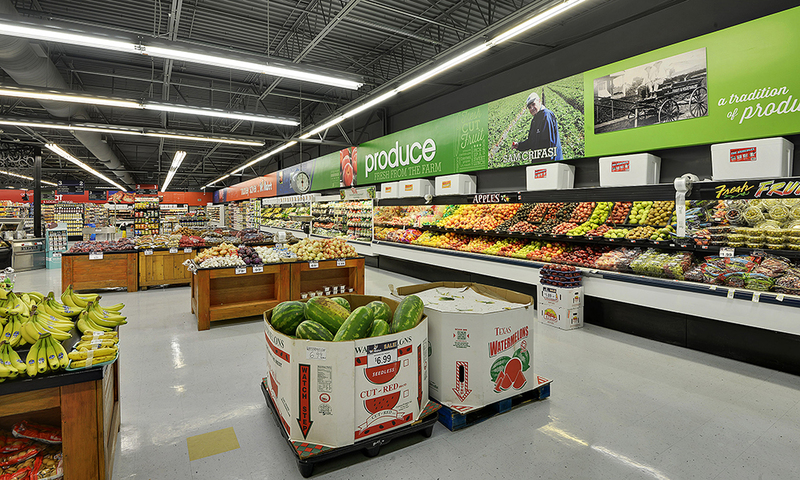 Stability in the market through brand consistency endears community goodwill and is a vital asset in grocery store business. 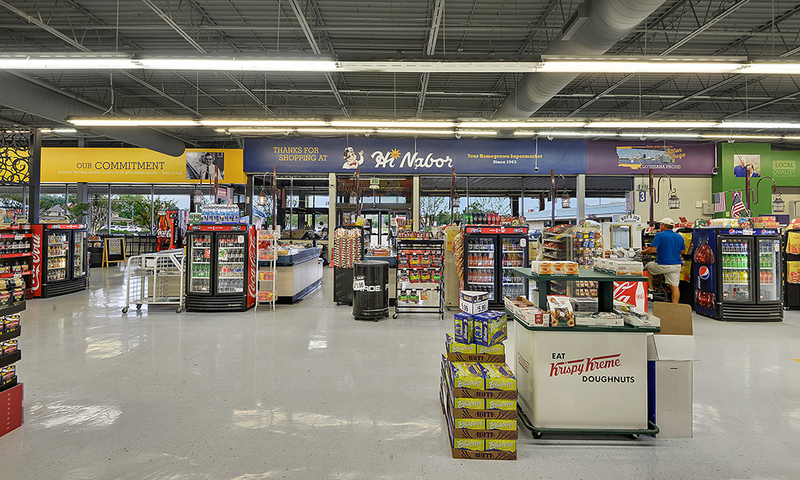 Hi Nabor is firmly reestablished as a Baton Rouge brand committed to the communities they serve. 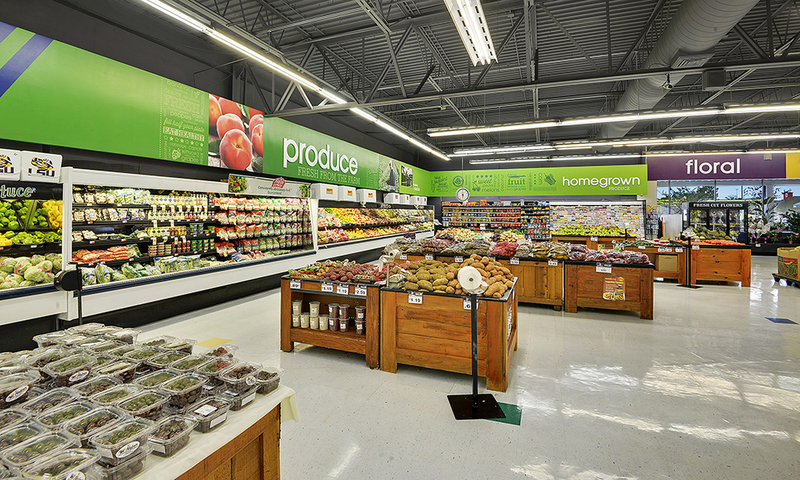 Vivid Ink Graphics did an outstanding job of printing and implementing our new store improvement campaign. This is a major investment for our brand and a significant commitment to the communities we serve. We’re glad that such an important project was handled with such professionalism.